The key to the Snapizzi system. You're now ready to generate your Snapizzi Camera Cards. 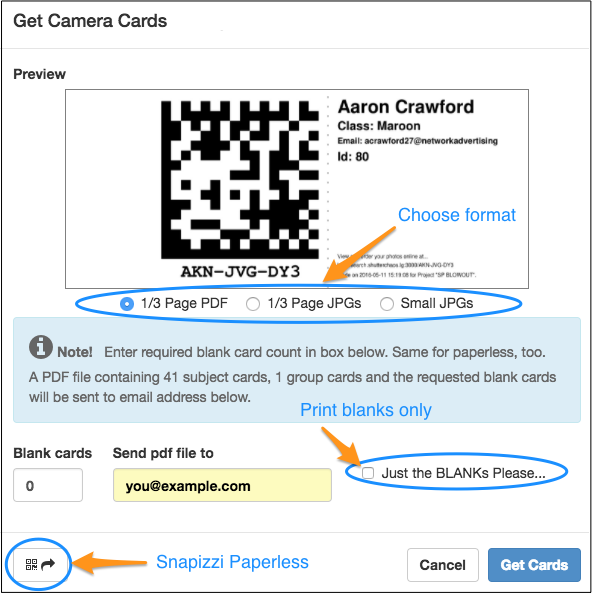 You can either print the PDF of the cards or use Snapizzi Paperless. You can also mix and match paper and Paperless, since once codes are generated, they remain the same regardless of which method you're using. Cards are generated in the order they're listed on your CSV file. Group cards will be be at the end of the Subjects. Blank cards are at the end of the Group codes. 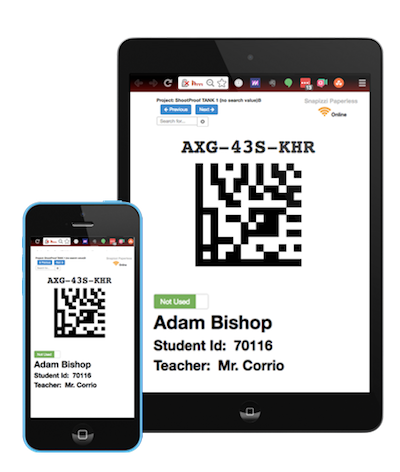 SNAPIZZI PAPERLESS works with any mobile device (including smartphones). Here's how to request cards. Select your Project and then "Get Camera Cards". Blanks should only be used for Subjects who weren't on the original CSV, and not Groups. If your Subject exists in the database, then use the Add Existing tool, don't create a new record for them. If you do, photos can be added, but the Search function will not work. You'll need to use the Move tool to move your Subjects to their originally created code. 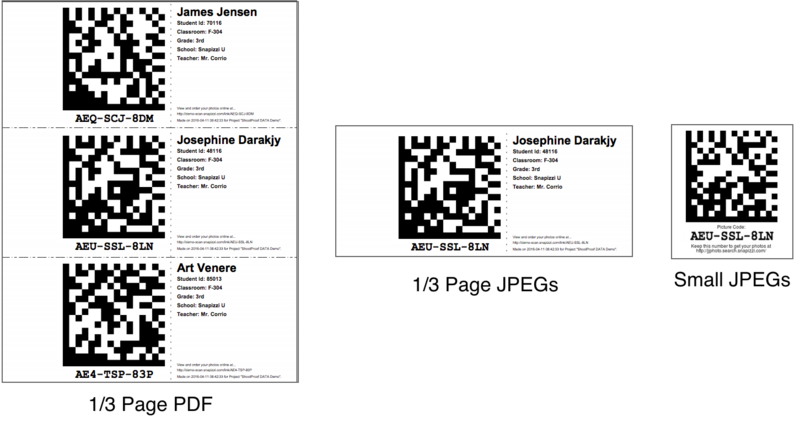 Specify how many extra blank cards to generate for new students or for other photos you may take on picture day. A summary of the total cards is also provided. 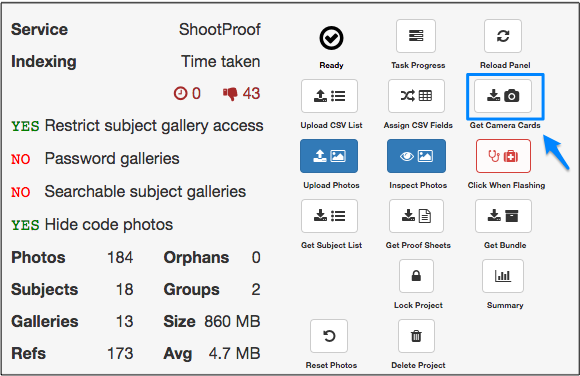 You can manually enter the Subject data for blanks after uploading images either individually or by editing your CSV file.